I couldn't resist painting this vintage Mini Cooper! I love the styling and the classic shape. A bit of a departure from my normal subject matter, I know, but I thought it'd be fun. Speaking of fun, I LOVE doing commissions and have been enjoying doing those lately. I know many of you have told me you will be wanting a room or vignette done for someone as a gift for Christmas, etc. . I just wanted to remind you that my time is filling up fast, and the Holidays will be here before you know it, so that if you want to be sure you get yours done in time, it'd be a good idea to get in an order now. 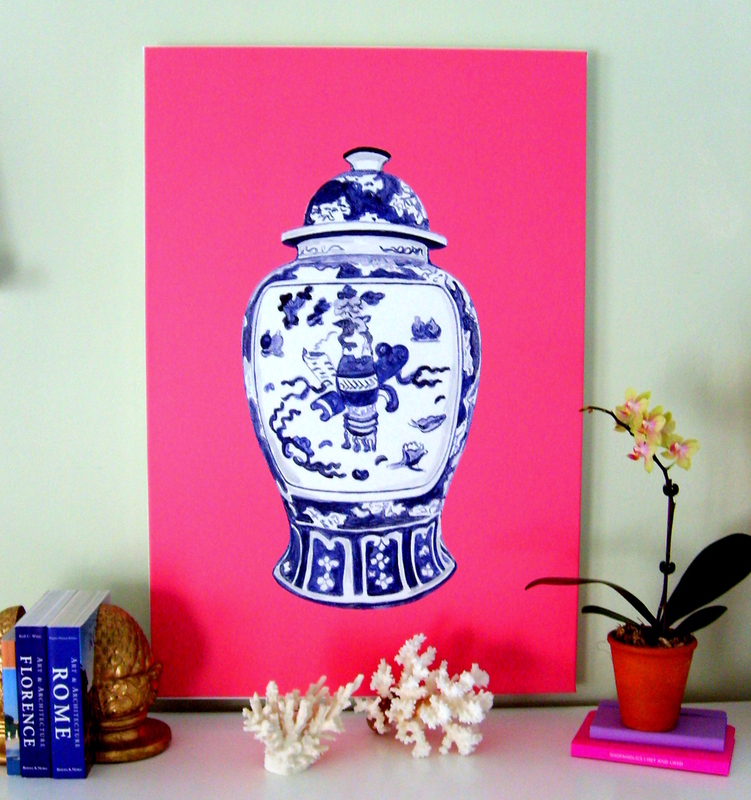 Keep in mind that not only is it a great and unique gift to immortalize a room or favorite object for someone special, but that I also name the painting after them if I choose to make a print, so it's kind of an ongoing tribute. Something to keep in mind for those of you who like to think ahead, anyway. My rates are reasonable as well. You can contact me at: anneharwell@hotmail.com Thanks again to all those who have already given me the opportunity to paint something special for them! 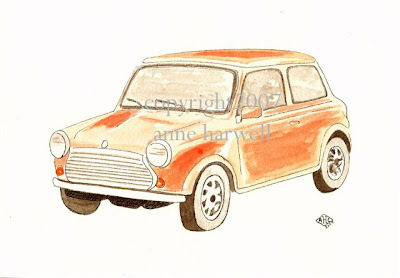 In "Annechovie Commissions", "Annechovie Prints", "Etsy", "Mini Cooper", "My Work"